Alright ladies, there’s a new lash extension location in Hermosa Beach and it is BEAUTIFUL! It’s clean, flirty and modern interior boasts bright neon signs, a welcoming atmosphere and an overall incredible lash experience. 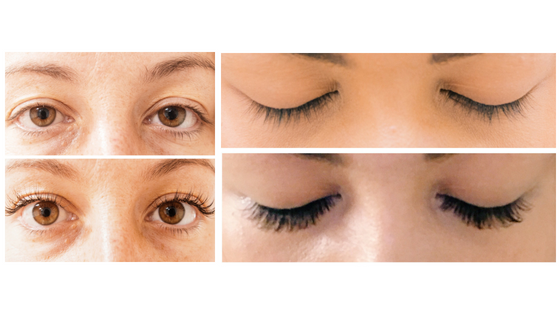 BlinkBar is a top-of-the-line lash extension studio offering an ever-evolving education program to its lash technicians ensuring you’ll always receive a consistent, memorable experience. With 5 locations, BlinkBar is taking the LA lash world by storm. “At BlinkBar, we believe that beauty is in the eye of the beholder. We also know that the right lashes can enhance your natural beauty and put a serious swagger in your step. Our goal is to have you walking out the door looking amazing, feeling uber-confident and ready to take on the world in true boss-babe style” says founder, Tirzah Shirai. Overall, we had an incredible lash experience. The technicians were kind, knowledgable and extremely gentle. The lash process did not hurt, and lasted about 1 – 2 hours. The friendly, funny and sweet staff of Hermosa Beach’s Blinkbar location (and their incredible skills) will keep you coming back for beautiful, full lashes!